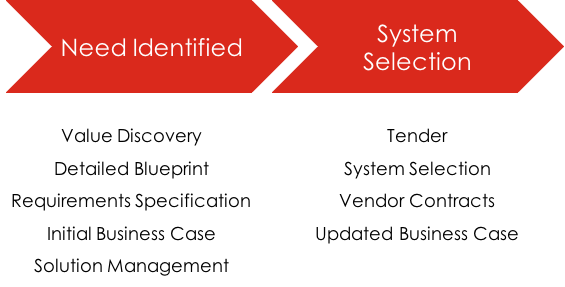 Getting The ERP Software Selection Process Right. Building on my last blog, where I looked at 5 Must Dos for Software Selection, I’ll now look in a bit more detail at our recommended ERP software selection process. We’ve touched on the fact that all too often people think that selecting an ERP system is the starting point for a change project. This is usually a costly mistake. At the very least, make sure you’ve got detailed requirements and a robust business case before you even start looking at system options and speaking to ERP vendors. Note: Detailed requirements – not high level, generic requirements which most ERP systems will align to. The devil is in the detail. Really understand why you’re doing it and what your objectives are. What’s the business benefits? What’s the ROI? Really understand the root of the existing problem areas. Will a new system bring the improvements required? Really understand the true costs and the value. Are you clear on the full cost of the implementation and the full cost of ownership? As you can see in our process diagram below, there are some preceding key stages we recommend that leads to a much more successful ERP software selection and subsequent implementation. It’s absolutely key to delve into the specifics for YOUR business. Where are you now and where do you want to be? Where do you need to be? 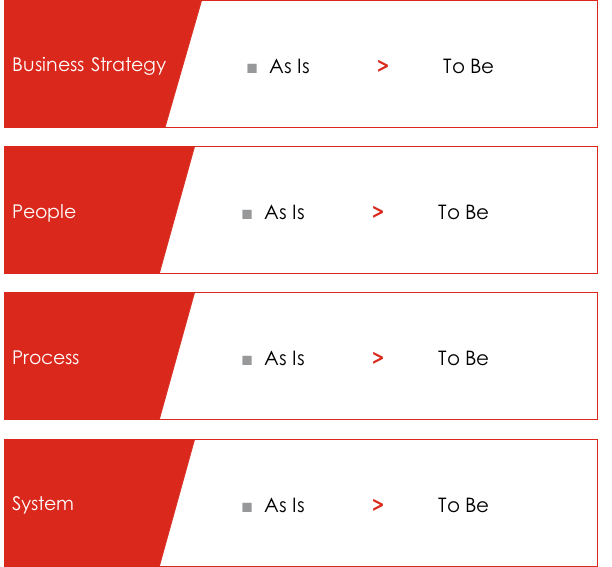 Take a holistic view across your business strategy, people, processes and systems. What’s best practice for your industry and how do you compare? Don’t base your selection decision on the requirements of businesses other than your own, even if they are competitors. One of the keys points of value that a successful ERP change project will bring is the identification of areas for differentiation that will set a business apart from its competitors. This is another reason to avoid the temptation to purchase software without identifying the businesses requirements and objectives first. It’s obviously a good idea to know what ERP systems your peers and competitors are using. But make sure you carry out robust due diligence. It would surprise you how often we find multiple businesses in a sector all using an ERP system that’s really not a good fit for that sector. Although it’s easy enough to see how it comes about. Sometimes the selection has been based on not much more than ‘if it’s good enough for them it must be good enough for us’. Sometimes it’s hard to see past the ERP vendor’s sales slides with their ‘customers in your sector’ and promises of ‘vertical alignment’ and sector-specific solutions. As I say, make sure you carry out robust due diligence and get past the sales gloss to make sure it’s the right fit and the best fit for YOUR business. The truth is that it’s actually quite hard to differentiate between most ERP systems these days – particularly between the traditional behemoths such as Microsoft, Oracle, SAP, SAGE, Infor. ERP is so rich in functionality these days that more often than not, they’ll all cover all the bases. So a lot of your tender document will end up coming out with the same scores across all of your short-listed solutions. That’s why it’s so important to get into the real detailed requirements for your own business. You need to get under the bonnet of the solution to really understand if it can bring the business transformation and optimisation that’s promised. There is also a growing niche market of small ERP vendors designing and developing software specific to certain industries and certain requirements. Don’t overlook these options in your selection process – the software world has changed these days. Traditionally, going with anyone but the big boys was seen as too risky – having outlaid a huge sum up front for the software and the cost of implementation – but these days, particularly with the SAAS model, it’s removed a lot of that upfront cost risk. You would obviously still carry out a robust supplier risk assessment – it’s still important that they’ve got sound financial footing and will be around in a few years time, that they’ve got the internal resources and infrastructure to support you, and will continue to invest in and develop the solution etc. But the specialist focus, often more agile approach and lower costs often make them a valid option for consideration. For the best chance of success, the ERP software selection process must follow an impartial and robust analysis of your business, its people, existing processes and vision. Taking into account best and leading practices. Aligning existing inefficient, broken or people specific processes to ERP software will result in a significant depletion in value return and increase the costs of the project exponentially. Our robust and structured ERP software selection methodology is supplemented by our expertise and know-how of the ERP marketplace. We’ll ensure that you get valuable insights and drive out the best fit solution and best value approach for your business. You are making a decision that will impact every corner of your business, has the potential to impact the survival of your business (we’ve seen businesses go bust through a failed ERP implementation). So make sure you are in the best informed and prepared position to make that decision. This is just one of the areas where Optimum PPS can help. We support and guide you through change projects such as an ERP implementation.